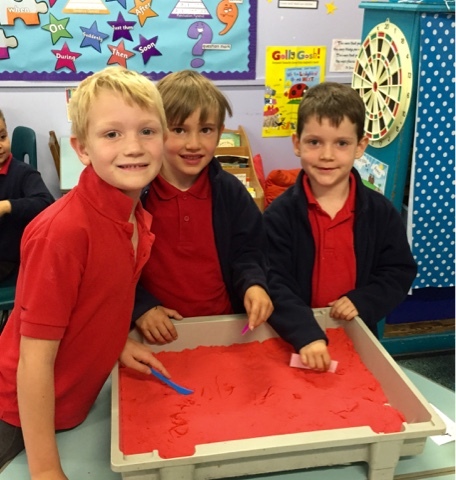 We had lots of fun today writing our new tricky words in the magic sand. 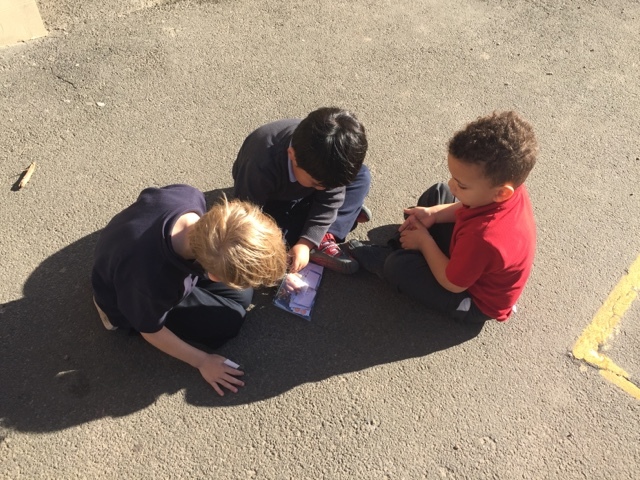 We also had fun acting out the rules of the mighty magic e – magic e gives all the power to the vowels which makes them stronger so they speak their name! 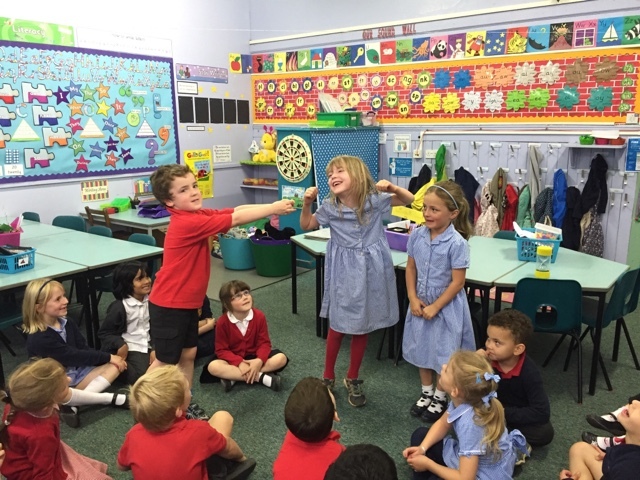 Super drama skills and fantastic group work P2B! 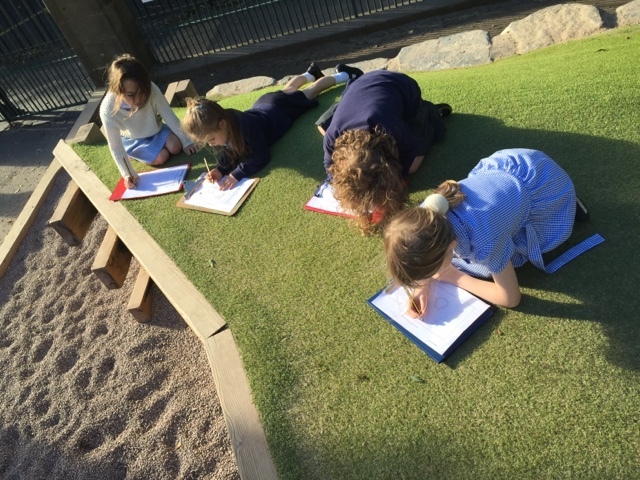 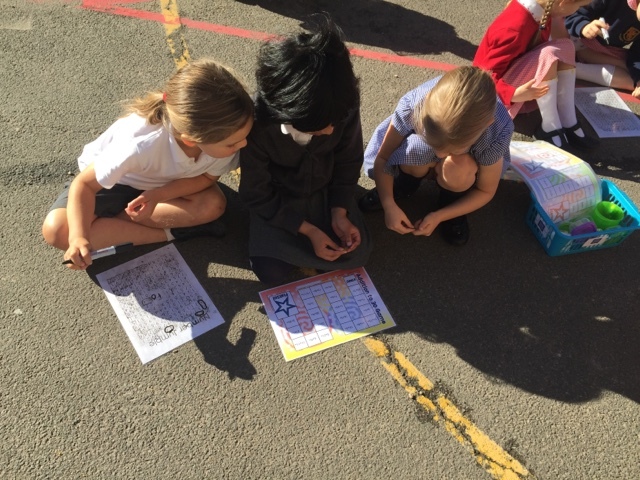 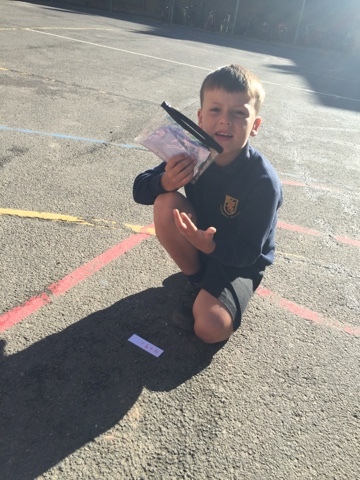 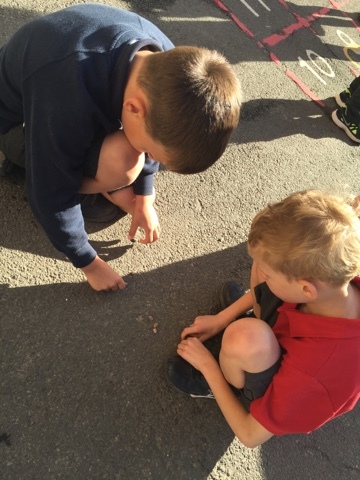 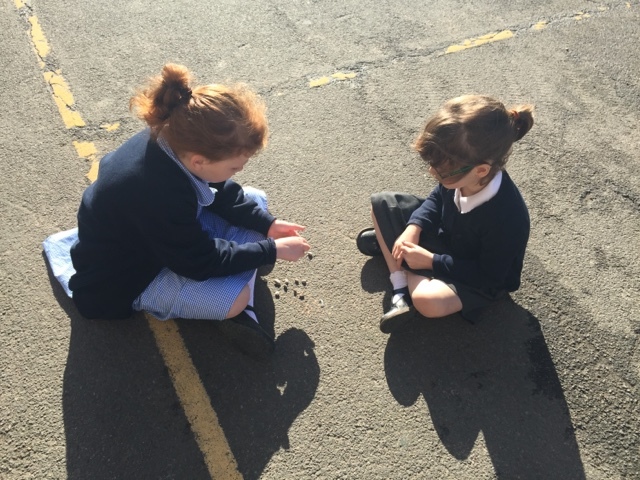 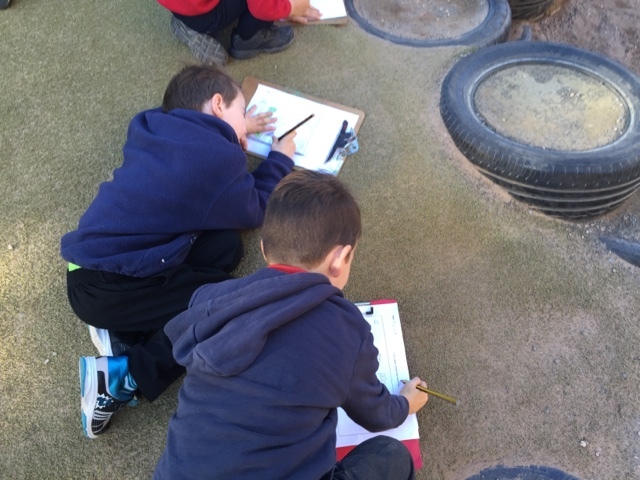 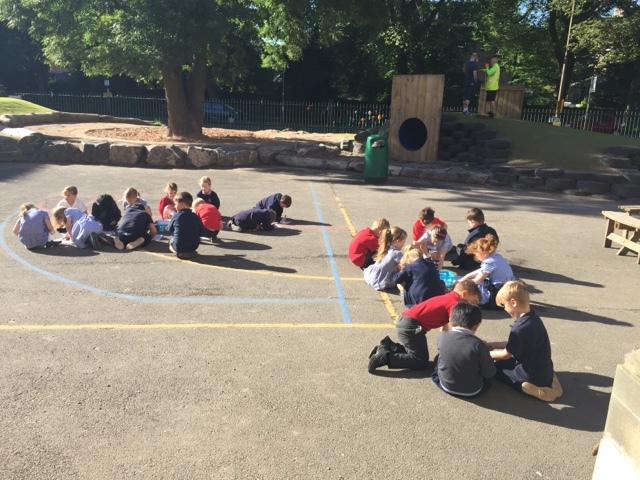 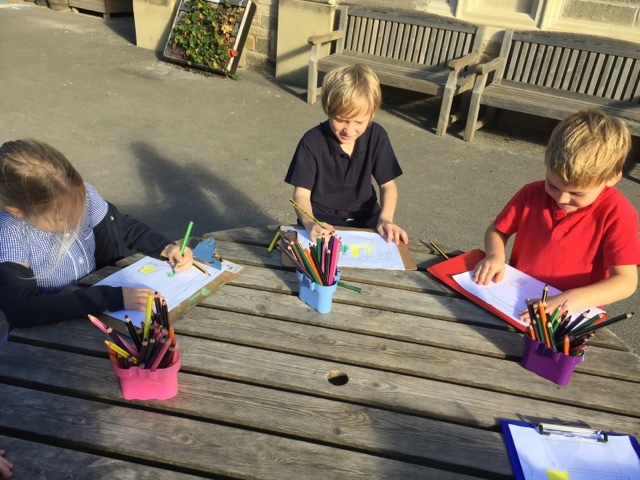 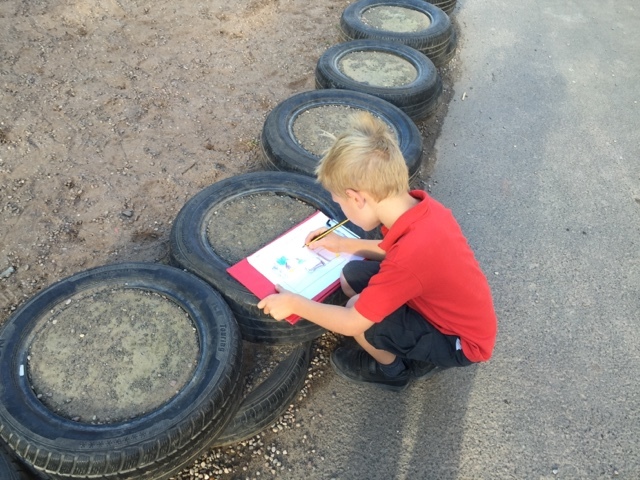 We have enjoyed numerous opportunities for outdoor learning, we loved doing maths outside, using stones to count and add with. 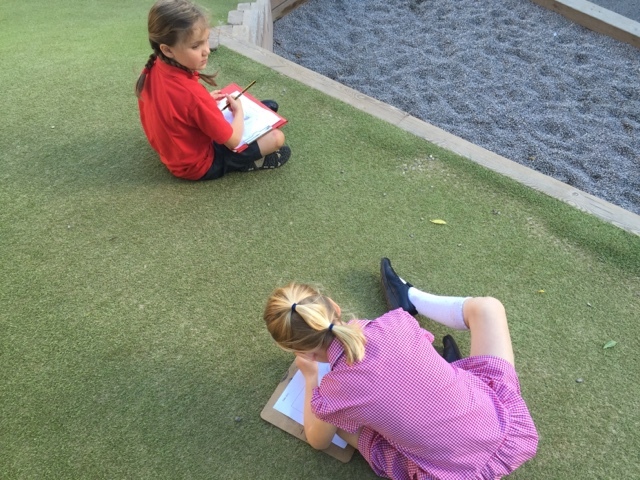 We also enjoyed creating our very own map of the playground. 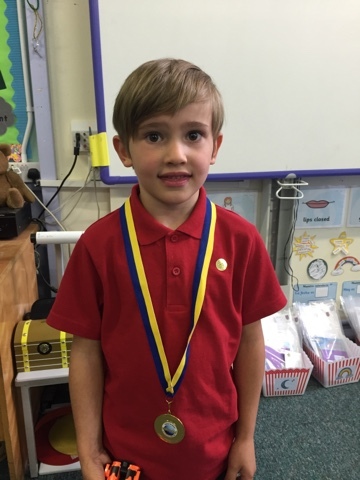 Alejandro enjoyed showing everyone his birthday medal that he was given at football. 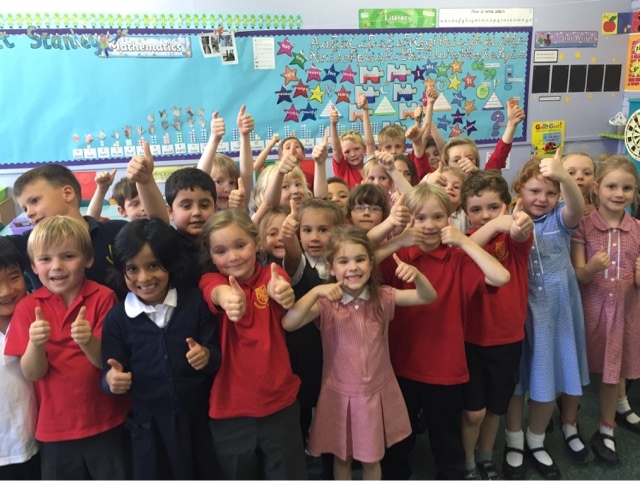 We have all had a fantastic start to the new school year and our first few weeks in primary 2!